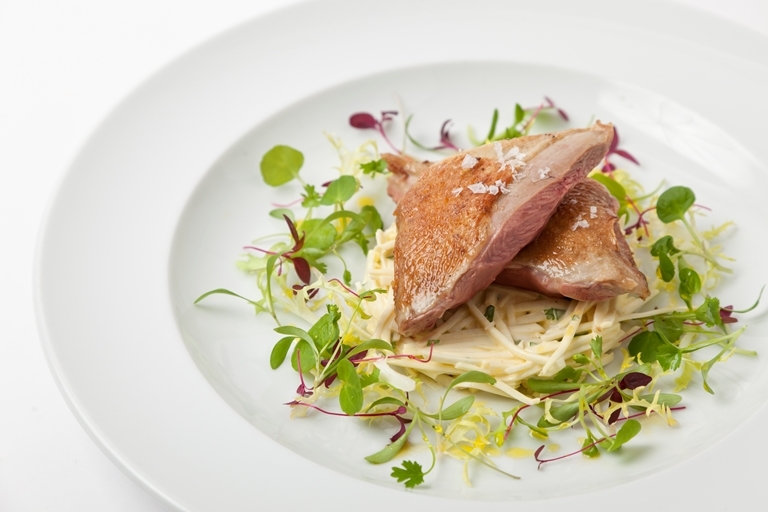 A deliciously full-flavoured meaty starter from Adam Gray, with tender pigeon sat atop a bed of celeriac salad. This recipe shows how to make walnut dressing for the celeriac salad, which can be made ahead and stored to use with other salads as well. Learn more about how to roast a whole pigeon in our guide.